This page contains three photos. 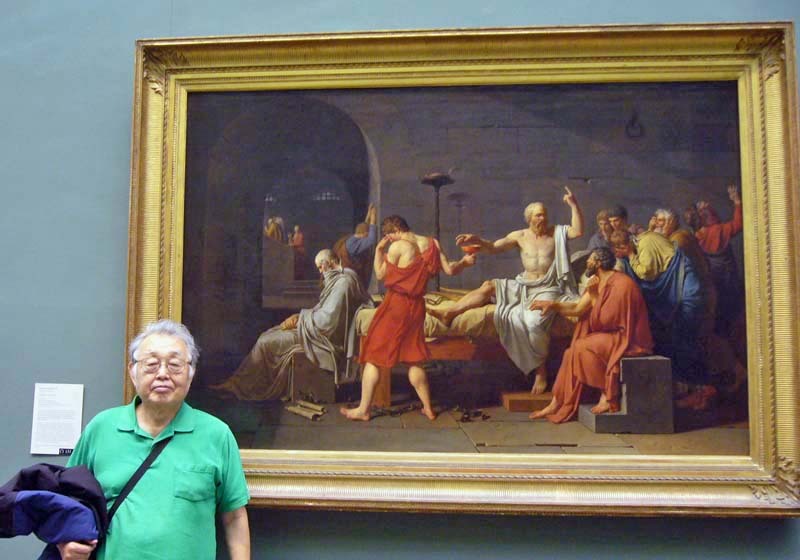 The Death of Socrates, by Jacques-Louis David (French artist, 1784-1825), at the Metropolitan Museum of Art in New York. This happened at a Greek prison near the Agora market place in Athens about 2500 years ago. The Agora market place is now a park, located at the foot of the Acropolis Hill in Athens. The Parthenon Temple is seen at the top of the Hill. You have to pay an admission fee to get into the Agora Park. However, there are no signs indicating the exact location where Socrates drank poison. 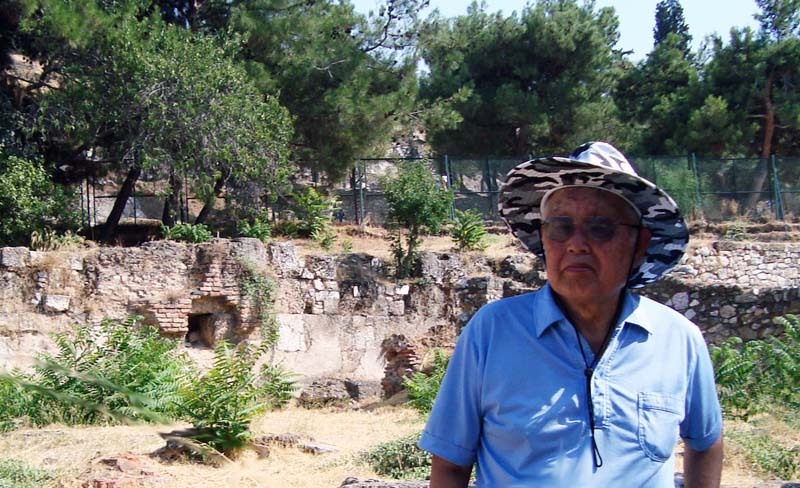 This is a photo of myself taken at or near the place of the death of Socrates (July 2008).